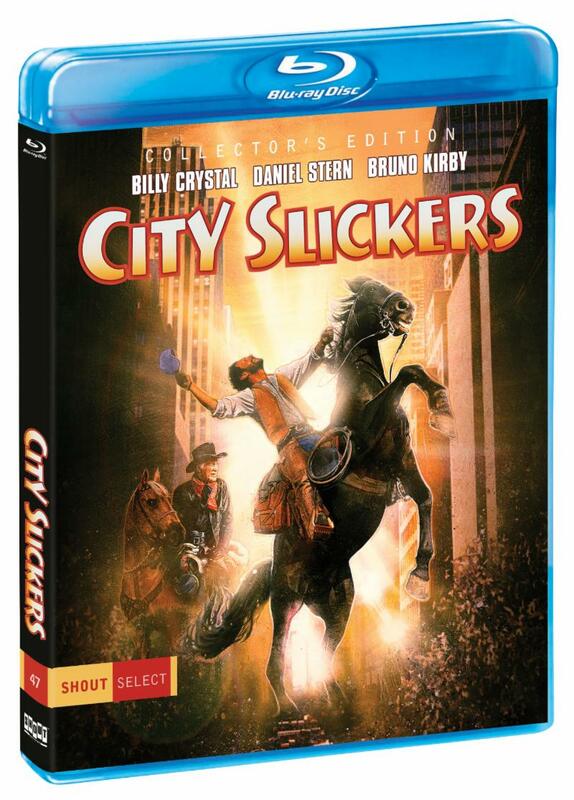 Castle Rock Entertainment’s classic 1991 buddy comedy City Slickers is getting the re-issue treatment again. The classic comedy will be re-issued on Blu-ray October 16 via Shout! Factory as part of the company’s ongoing Shout! Select series. The latest re-issue of the movie is presented in a never-before-released 4K HD scan and also includes a handful of bonus materials. Pre-orders are open now. The bonus material includes retrospective Back in the Saddle: City Slickers Revisited, Bringing in the Script: Writing City Slickers, A Star is Born: An Ode To Norman and The Real City Slickers. A handful of deleted scenes are also included as extra bonus material. The movie’s story follows Mitch Robbins (Billy Crystal — Parental Guidance, Monsters Inc., Monsters University) as he heads out west on a mid-life crisis of sorts. He doesn’t go alone though. Also along for the ride, which turns into a heartfelt but funny journey of self discovery, are Phil Berquist (Daniel Stern — Home Alone 1 & 2, Bushwacked) and Ed (Bruno Kirby — When Harry Met Sally, Sleepers, Good Morning, Vietnam). The late great Jack Palance (Sudden Fear, Batman, Shane) leads the way on the journey. Slayer is preparing to say goodbye to its European fans. The band has announced the dates for the next leg of its worldwide farewell tour, which will take the band across Europe. The tour is currently scheduled to launch November ` in Dublin, Ireland before heading to the UK for a handful of dates and then on to Germany, The Netherlands, Spain and a number of other locations across Europe. Longtime guitarist Kerry King said the decision to take the tour to Europe had been planned for a long time, and that the reaction to the tour in the U.S. has been motivating for the upcoming European run. Front man Tom Araya shared King’s appreciation for the fans and their reaction. Before the band heads to Europe, it will perform for audiences at Mexico at the ForceFest in Tijuana, Mexico on October 7. Plans are also in the works for live performances in South America, Australia and Japan as part of its continued farewell tour. The current schedule for the European leg of Slayer’s farewell tour is noted below. ESPN’s flagship college football program is coming home…sort of. College GameDay Built by The Home Depot returns to South Bend, Indiana and the campus of Notre Dame for its season premiere this Saturday, September 1. The 10-time Emmy Award-winning program will air live from Libery Quad starting at 9 a.m., preceding the Fighting Irish’s annual showdown with rivals, the Michigan Wolverines. The program will be simulcast Saturday (and each week) on ESPNU. Notre Dame head coach Brian Kelly will appear on the special broadcast, which comes 25 years after the very first College GameDay broadcast. marty Smith will interview Michigan head coach Jim Harbaugh as he enters his fourth season coaching at his alma mater. Other topics slated for Saturday’s broadcast include who will be Alabama’s new quarterback and the wake of Washington State quarterback Tyler Hilinski’s death. 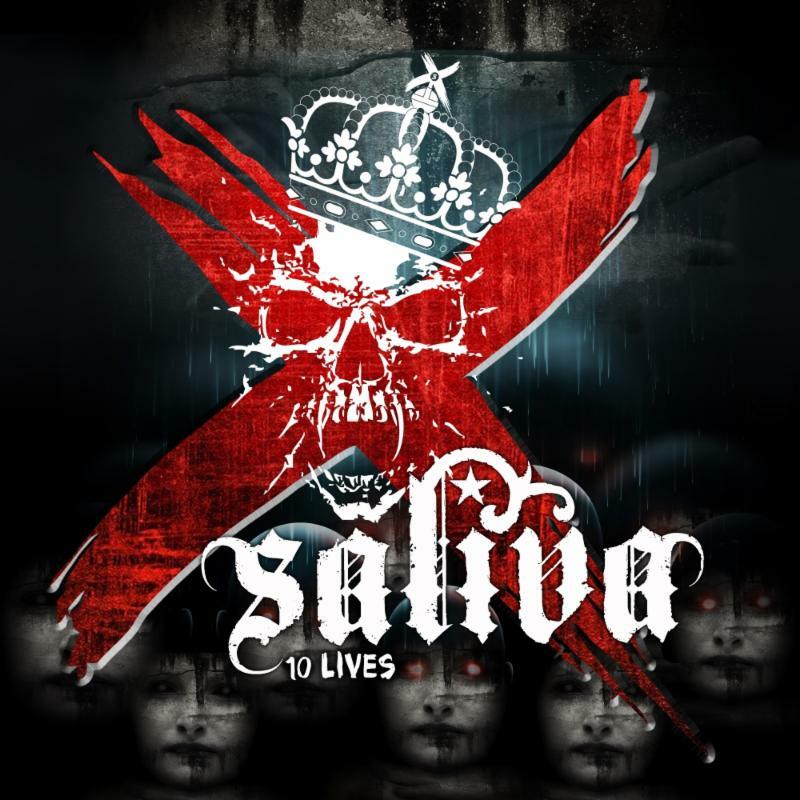 Veteran rock band Saliva will reach a milestone this fall with the release of its 10th album. The band announced today that it is currently scheduled to release 10 Lives October 19 via Megaforce Records. Pre-orders for the 14-song record are open now via Amazon. The band said in a collective statement that 10 Lives, co-produced by Saliva front man Bobby Amaru and Steve Perreira, holds a special meaning to the group. Currently, the band is on tour in support of its most recent album, 2016’s Love, Lies & Therapy. Its current tour schedule will bring it to Newberry, South Carolina and Greenville, South Carolina on August 30 and 31 respectively. The tour’s schedule takes the band through September 9 in Denver, Colorado. The remaining dates on the band’s current schedule are noted below. Megadeth bassit Dave Ellefson’s EMP Label Group has added another big name to its artist roster. 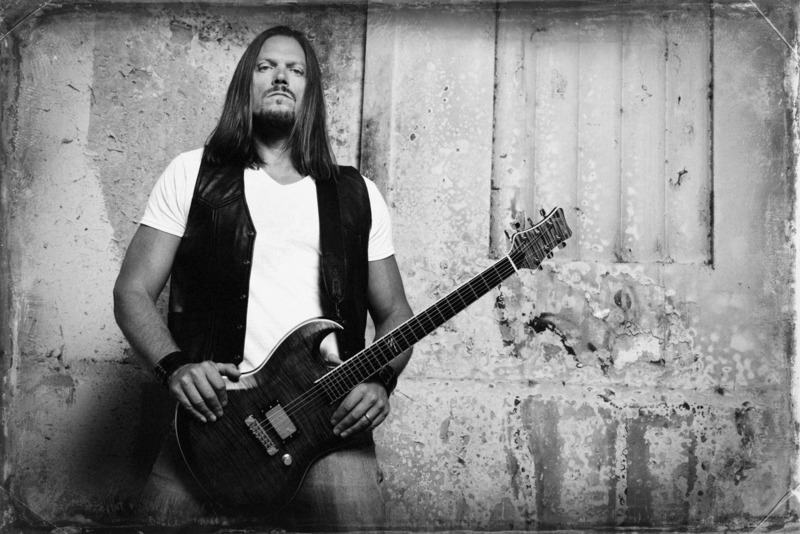 Kill Devil Hill guitarist Kevin Zavon recently inked a deal with the label that will see his debut solo album. The as yet untitled album is currently scheduled to be released November 23 via EMP Label Group and features Brian Tichy (The Dead Daisies, Foreigner, Ozzy Osbourne) on drums and guest appearances by Vinny Appice (Black Sabbath, Dio, Heaven & Hell) and Mike Duda (W.A.S.P., Hotel Diablo, Frost). Along with handling guitar and vocals, Zavon also handled bass and keyboards on the album. The album — mixd by Josh Newell (Intronaut, Black veil Brides) and mastered by Paul Logus (Stone Sour, Winery Dogs) — consists of 10 songs that Zavon said had gone unpublished ever since Kill Devil Hill went on hiatus following the release of the band’s 2013 album Revolution Rise. He said that played a key role in creating his own album. Almost five decades have passed since Warner Brothers first teamed the Dynamic Duo with Mystery Inc. for the Scooby Doo Movie, Scooby Doo Meets Batman. The movie also went by the title The Dynamic Scooby-Doo Affair. That “movie” saw Mystery Inc. partner with Batman and Robin to stop a counterfitting ring set up by the Joker and the Pengin. September 16 will mark 46 years since that “movie” first debuted. Now all those years later, Scooby, Shaggy and the gang have teamed up with the Caped Crusader again, this time to face another of Gotham’s bad guys in Scooby-Doo and Batman: The Brave and the Bold. While the 75-minute “movie” does present an interesting story at its core, the writing therein proves ultimately to be the movie’s downfall. While the writing ruins any chance of this “movie” being one of the more memorable of WB’s so many Scooby Doo movies, it can at least be said that the voice cast deserves its own share of credit in the final presentation. When that work is considered along with the movie’s central story, the two elements together worth at least one watch, but sadly no more than that. The story’s writing proves so problematic because of the plot holes and pacing issues that arise throughout the movie. Right from the movie’s outset, one of those many plot holes appears as the gang is investigating a crime (or so they think) at an abandoned theater. Obviously things are not quite as they seem. This is only revealed after Batman just randomly appears on the theater’s rooftop to “help” the gang. Freddy asks Batman what he’s doing there, and in an attempt to explain things away, Batman simply responds that he goes where crime is. There’s no back story on how the gang came to investigate the “crime,” which obviously was just a test for the gang. It would have been nice to have had some back story there, considering the outcome. Had this been any other case, opening so abruptly might have worked, but not here. As the story progresses, Batman’s super detective friends side with Bullock, just agreeing that Batman appeared guilty in the original case, not even questioning him. Considering the connection between the group, one would have thought the group would have sided with Batman, not Bullock. This becomes problematic, too since they just outright believe Bullock. In the final act, audiences get a resolution as the real villain is revealed. That is perhaps one of the few positives of the writing because the writing team behind the “movie” does admittedly at least do a good job keeping viewers guessing about the identity of The Crimson Cloak.” The problem is that it would have made so much more sense to just wrap up the story where it was. Sadly though, the 13-member writing team couldn’t let go. They instead lead the story to go on well past where it should have ended, leaving viewers asking when it is going to end and why it didn’t end when it should have. In the same breath, that final scene that should have been the final scene leads to yet another pot hole involving The Question. Why did he disappear for such a long time after the bank heist, despite the explanation? Why did he not rejoin the group and tell them what happened? That was never explained. If he had just re-appeared earlier and that point been explained away, it would have created the standard evil twin plot, given. At the same time, though maybe it would have shortened up the movie, too, but the writers didn’t want to go that route. Instead they take a route that even in the end leaves more questions than answered. Even with all of the references to all of the classic Batman franchises (including the beloved series starring the late great Adam West thanks to the gang hanging out in the original Batcave and even an appearance by King Tut) these plot holes and the pacing problems leave so much to be desired here. To that end, the writing in this story does more damage to Scooby-Doo and Batman: The Brave and the Bold than any good. The damage is, in fact, so intense that it leaves this story largely forgettable among the endless stream of Scooby-Doo movies. While the writing at the center of Scooby-Doo and Batman: The Brave and the Bold does significant damage to its presentation, the “movie” does have at least one more saving grace other than just its story. That other factor is the work of the voice cast. Matthew Lillard, who played Shaggy in every Scooby-Doo presentation since 2002’s live action/CG hybrid movie, once again returns to voice Shaggy this time out, and he shines again in his role, offering plenty of laughs, even as he don’s Nightwing’s old costume. Freddy, voiced once more by none other than Frank Welker could have phoned it in, having voiced Freddy for so many decades, yet he gave it his all once again throughout. The way he handled Freddy’s infatuation with Black Canary makes for plenty of laughs. His act as he dons Batman’s “Year One” costume makes for one of the best moments as Freddy really does try to take on the strong persona that is Batman. Freddy obviously fails to have that persona, yet is so endearing because of his effort to be so heroic. Again, this is an example of a voice actor who fully understands and appreciates his character. That makes his performance all the more entertaining. Kate Micuci (Lego Batman: The Movie, Big Bang Theory, Steven Universe) is entertaining in her own right, too as the voice of Velma. This is not her first time taking on the role, either. She voiced Velma in the short-lived Scooby-Doo series Be Cool, Scooby-Doo and in the Scooby-Doo movies Scooby-Doo! Shaggy’s Showdown, Scooby-Doo! And WWE: Curse of the Speed Demon and other Scooby-Doo properties. The way that Micucci handled Velma’s starstruck behavior toward Batman adds even more entertainment to the presentation. Her reaction to working with Batman is like a child getting to meet his or her favorite celebrity. That especially comes through as Velma learns that the gang is joining Batman at the Batcave. Her interactions with Detective Chimp (played by Kevin Michael Richardson – Lilo & Stitch, Transformers: Revenge of the Fallen, The Batman) make for even more entertainment as the two clearly talented sleuths try to outdo one another in their investigations. Those are some subtle yet fun moments that audiences will remember, too. Between those moments, the moments presented by Welker, Lillard and the rest of the main voice cast, that work offers its own collective enjoyment for audiences. When the voice cast’s otherwise memorable collective work is coupled with the story at the center of the “movie” the two elements do just enough to save the movie, but not enough to make it more than just one watch. 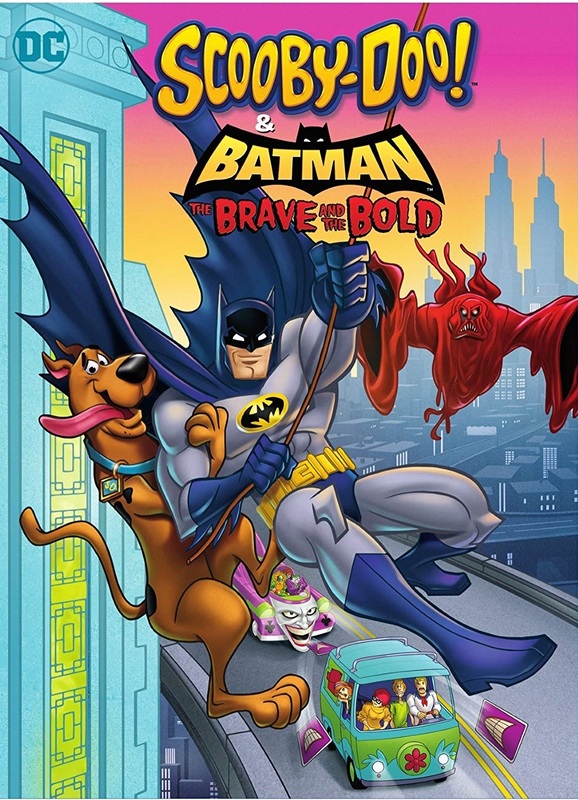 Scooby-Doo and Batman: The Brave and the Bold is a fun watch for the whole family, whether for everyone’s favorite K-9 case solver and his friends, for Batman and company or for both. That is thanks to the story at the center of the “movie” and the work of the voice cast. While those elements do plenty to make the movie an interesting watch, its writing creates its own share of problems thanks to its pacing problems and plot holes. When this is all considered together, the end result is a presentation that while maybe fun, is regrettably an otherwise forgettable addition to the ongoing Scooby-Doo movies series. It is available now in stores and online.